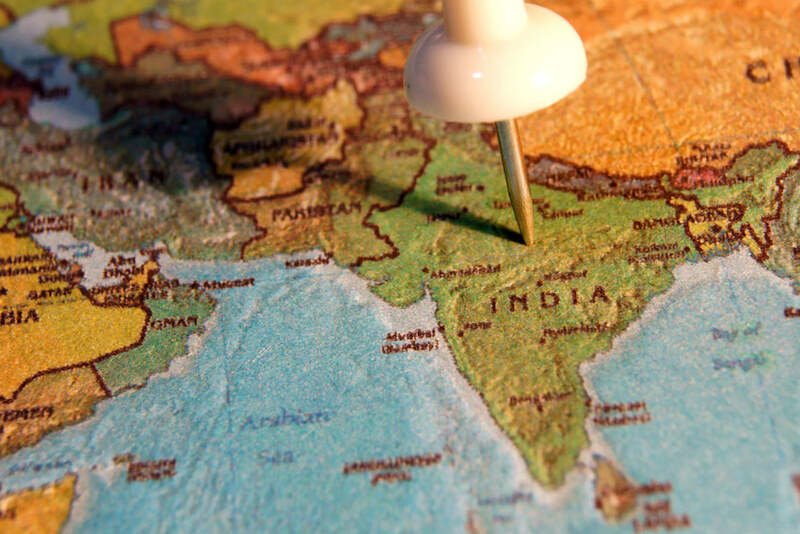 Almost 20% of the entire world’s population resides in India alone, while it has the youngest population on the planet! The population of India is 1.3 billion, yet 85% of Indians are under 30 years old! That data is stunning, so much so that it’s even awoken this hard-core skeptic to the execution of real possibilities with capital allocation on a big scale in the country. Along with this rapid GDP growth (similar to China’s from 2001), India is in an early transformation into a more open and business-friendly nation. Within 5 years, a substantial $1.5 trillion will be added to the Indian economy alone (the $1.5 trillion in new growth is 1,400% larger than what the entire marijuana industry will be in the next few years). These factors will likely drive growth across almost every industry in India. But the best-positioned businesses taking advantage of this growth are going to reap a whirlwind of profits for investors that can hold them patiently over the next few years. India’s total outstanding mortgages are 8% of GDP versus 52% in the U.S.
Only 2% of Indians are credit card holders versus almost 100% in the U.S.
Only 6% of people have private health insurance coverage in India versus 87% in the U.S.
Only 2% of India’s population owns a car versus 91% in the U.S.
Less than 2% of India’s household savings exposed to equity, versus 25% in the U.S. While GDP in India is going to grow rapidly by 7-8%, the best-positioned companies are going to be growing 20% to 30% for years. There is no question about where a huge tailwind of GDP growth is going to come from in India and the areas to look at in order to exploit as an investor. There are stellar companies in India utilizing the most up-to-date modern technology, wide distribution systems, and deploying massive scale fully taking advantage of the opportunities before them now. But it is not easy for regular investors and non-Indians to participate in the most stellar opportunities in India (it’s just starting to become more open to outside investors). Investors almost have to set-up a shop in India and work/live there for over six months just to take advantage of some of the opportunities. Generic Indian ETF’s are not the answer either. They are top weighted and sub-performers to where the real magic is taking place. They are losing big time to our new discovery. FMT Advisory is thrilled that our research has recently identified a core Superinvestor Wealth Compounder to take advantage of these mega trends with boots on the ground in India. Our 100% Indian-based Superinvestor Wealth Compounder is situated in the sweet spots of the Indian economy and has a competitively entrenched position for high long-term compounding, while we get to buy our compounder at just 1.10x its book value! Someone once said that to get rich, all you have to do is provide the greatest amount of value to the greatest amount of people. Standards of living (more convenient lives) are rising exponentially right now in the most populated area on the planet (India) and a lot of people will become far richer by putting some of their compounding dollars in the right enterprises that are providing the goods and services to make it happen. I believe our newly identified Superinvestor Wealth Compounder is the premier-holding company in India to potentally achieve years of mid-to-high double-digit compounding, safely. This is a great time to set up an account with FMT Advisory for the long haul to get the full benefits of this mega growth trend. As for the government of India, they are in great shape. India has a debt/GDP ratio far below that of developed countries. It’s at only 68% debt/GDP (the United States is 105% and climbing, for example) and it has come down over the last couple years. With rapid GDP growth and their newly instituted biometric system, Aadhaar, this should keep the country in great shape over the next decade or so. Consistent with that view, India’s currency has continued to outperform a collection of 12 emerging market currencies for four straight years now. Business debt/GDP is one of the lowest in the world as well. Individuals in India are unleveraged completely – only 10% of GDP (compared to 82% in the U.S.). These figures favor stellar economic growth in the years ahead, especially given the young demographic and per-capita standards of living set to rise materially over the years. FMT Advisory’s Superinvestor Wealth Compounder holding is ridiculously well positioned to take advantage of these dynamics over the long haul and it’s undervalued today. FMT Advisory is a fiduciary money manager that is managing real money – my own and our member’s. This will be a large, core holding for us, just as the other two core Superinvestor Compounders have been (one is up 80+% so far and the other is soon to likely go even higher!). Those that choose to partner with us know that we will do all that we need to do to make our journey a prosperous one. There will be volatility, there will be hiccups… and those not anchored to a per-share intrinsic value approach will have continued difficulty staying the course and finding success on their own. Our new core compounder is going to hunt! FMT Advisory’s new core compounder is going to hunt and our enduring margin-of-safety approach should continue to thrive and prosper.